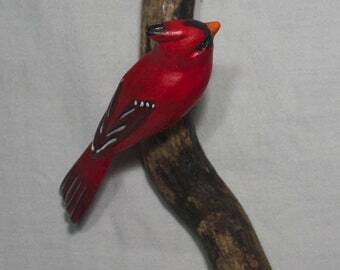 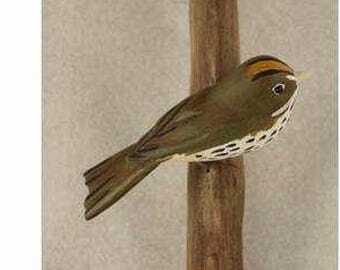 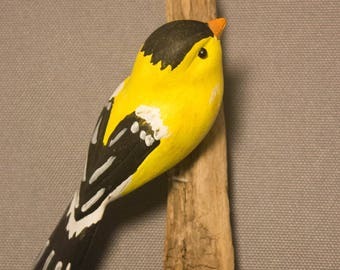 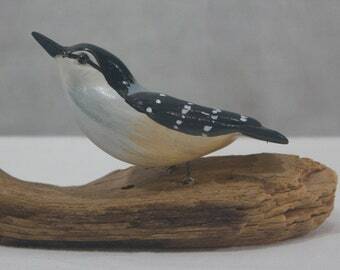 Handmade wooden bird. 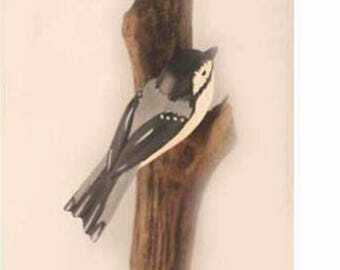 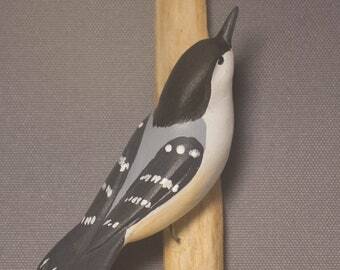 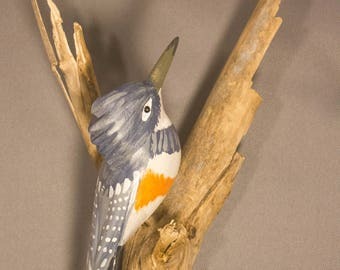 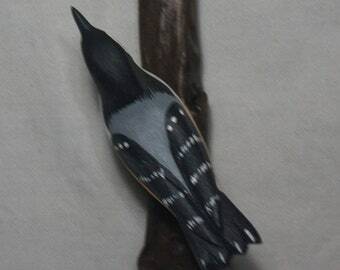 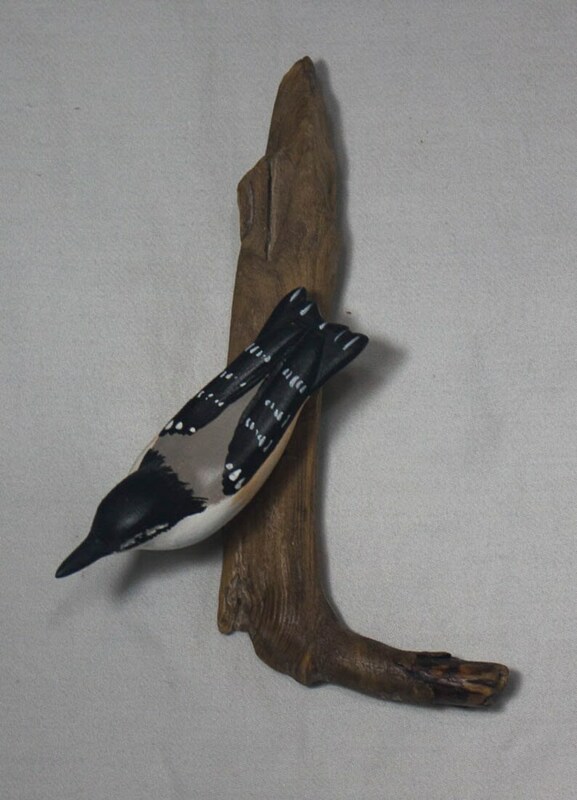 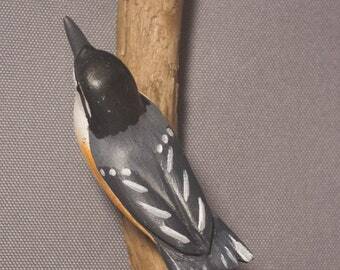 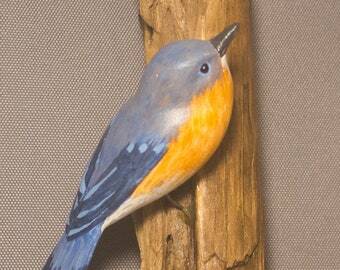 Red Breasted Nuthatch carved from basswood, hand painted and mounted on Minnesota driftwood. 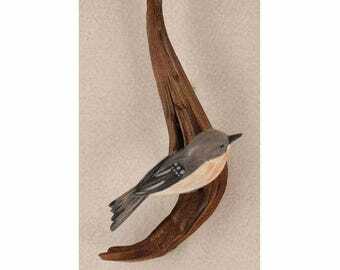 Made to hang on the wall - hanger included. 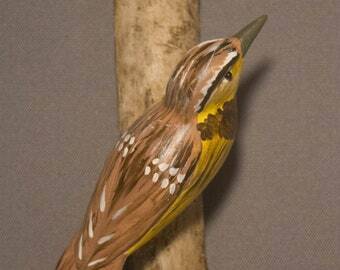 DimebeaknsioThrasherns are for the bird and driftwood.